Frontier Lawn & Rec Inc.
M-F: 8:00 a.m. 5:00 p.m. Sat: 8:00 a.m. 1:00 p.m. 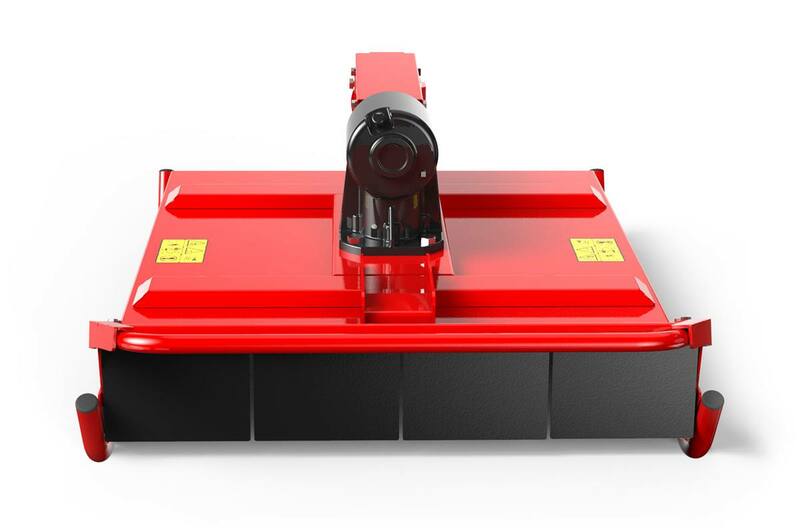 The 32-inch brush mower attachment for the Pro-QXT is able to take down saplings as large as 1.5 inches in diameter and built to power through thick brush. All programs below available thru 4/30/2019. Offer subject to credit approval. Commercial cards are also available. For offer details about commercial cards, please contact your local dealer. 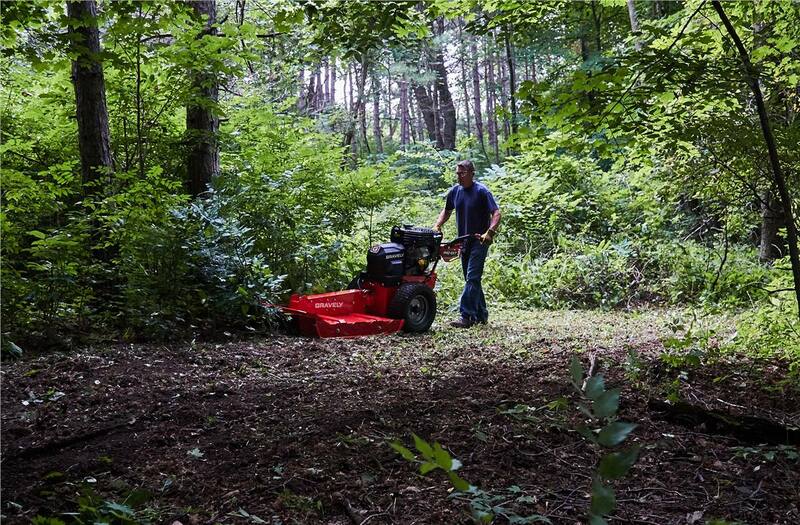 No Monthly Interest for 24 Months with Equal Payments : Minimum purchase $1,500. There is a promotional fee of $125 for this transaction. 0% APR from date of eligible purchase until paid in full. Monthly payment is the purchase amount divided by the number of months in the offer. Last payment may vary due to rounding. On-time payments will pay off the promotional balance. Other transactions and charges affect total monthly payment amount. Prior purchases excluded. Account must be in good standing. Standard account terms apply to purchases that do not qualify. New accounts: Standard Purchase APR 29.99%. Minimum interest charge $1. Existing accounts, see your credit agreement for applicable terms. Subject to credit approval. Yard Card financing account issued by TD Bank, N.A. No Monthly Interest for 36 Months with Equal Payments : Minimum purchase $1,500. There is a promotional fee of $125 for this transaction. 0% APR from date of eligible purchase until paid in full. Monthly payment is the purchase amount divided by the number of months in the offer. Last payment may vary due to rounding. On-time payments will pay off the promotional balance. Other transactions and charges affect total monthly payment amount. Prior purchases excluded. Account must be in good standing. Standard account terms apply to purchases that do not qualify. New accounts: Standard Purchase APR 29.99%. Minimum interest charge $1. Existing accounts, see your credit agreement for applicable terms. Subject to credit approval. Yard Card financing account issued by TD Bank, N.A. No Monthly Interest for 48 Months with Equal Payments : Minimum purchase $1,500. There is a promotional fee of $125 for this transaction. 0% APR from date of eligible purchase until paid in full. Monthly payment is the purchase amount divided by the number of months in the offer. Last payment may vary due to rounding. On-time payments will pay off the promotional balance. Other transactions and charges affect total monthly payment amount. Prior purchases excluded. Account must be in good standing. Standard account terms apply to purchases that do not qualify. New accounts: Standard Purchase APR 29.99%. Minimum interest charge $1. Existing accounts, see your credit agreement for applicable terms. Subject to credit approval. Yard Card financing account issued by TD Bank, N.A. 1.99% APR with 60 Monthly Payments : Minimum purchase $1,500. There is a promotional fee of $125 for this transaction. 1.99% APR from date of eligible purchase until paid in full. Monthly payment amount equals the purchase amount and estimated interest for the length of the offer divided by the number of months in the offer. Last payment may vary due to rounding. On-time payments will pay the offer balance in full. Other transactions and charges affect the total monthly payment amount. Prior purchases excluded. Account must be in good standing. Standard account terms apply to purchases that do not qualify. New accounts: Standard Purchase APR 29.99%. Minimum interest charge $1. Existing accountholders, see your credit agreement for applicable terms. Subject to credit approval. 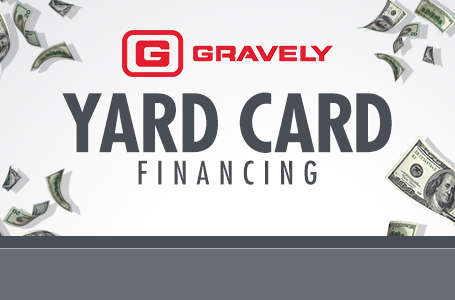 Yard Card financing account issued by TD Bank, N.A. 3.99% APR with 60 Monthly Payments : Minimum purchase $3,000. There is a promotional fee of $125 for this transaction. 3.99% APR from date of eligible purchase until paid in full. Monthly payment amount equals the purchase amount and estimated interest for the length of the offer divided by the number of months in the offer. Last payment may vary due to rounding. On-time payments will pay the offer balance in full. Other transactions and charges affect the total monthly payment amount. Prior purchases excluded. Account must be in good standing. Standard account terms apply to purchases that do not qualify. New accounts: Standard Purchase APR 29.99%. Minimum interest charge $1. Existing accountholders, see your credit agreement for applicable terms. Subject to credit approval. Yard Card financing account issued by TD Bank, N.A. No Interest if Paid in Full within 6 Months : Minimum purchase $299. To avoid interest, you must pay the full promotional balance before the promotional period ends. If you do not, we will charge interest from the purchase date at the Standard APR. After promotional period ends, the Standard APR also applies to the remaining balance. Minimum monthly payments required, but they will not pay off the balance in time. You must make larger payments to avoid the interest. Prior purchases excluded. Account must be in good standing. Other finance plans may be available. Standard account terms apply to purchases that do not qualify. New accounts: Standard Purchase APR 29.99%. Minimum interest charge $1. Existing accounts, see your credit agreement for applicable terms. Subject to credit approval. Yard Card financing account issued by TD Bank, N.A. No Interest if Paid in Full within 12 Months: Minimum purchase $299. To avoid interest, you must pay the full promotional balance before the promotional period ends. If you do not, we will charge interest from the purchase date at the Standard APR. After promotional period ends, the Standard APR also applies to the remaining balance. Minimum monthly payments required, but they will not pay off the balance in time. You must make larger payments to avoid the interest. Prior purchases excluded. Account must be in good standing. Other finance plans may be available. Standard account terms apply to purchases that do not qualify. New accounts: Standard Purchase APR 29.99%. Minimum interest charge $1. Existing accounts, see your credit agreement for applicable terms. Subject to credit approval. Yard Card financing account issued by TD Bank, N.A. Note: The inventory payment calculator in each unit listing is for estimating payments only, and does not include taxes, delivery or other charges (if any). 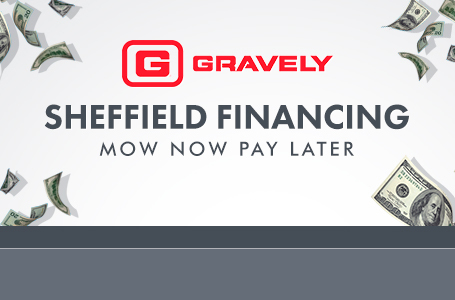 It is not affiliated with any financing offer/company. The Apply for Financing Credit Application cannot be used to apply for the Yard Card financing program and is not affiliated with TD Bank, N.A.. To apply for the Yard Card credit card, please stop in the dealership.